A smooth and creamy vegetarian pâté from Tartex, with the pleasant taste of mushroom. A great spread for toast, sandwiches or crackers, as well as being or an ideal base to create variety of savoury vegetarian dishes. Tartex pâtés promise great taste, and contribute towards a healthy diet. They are purely vegetarian, based on mild nutritional yeast, non-hydrogenated and oils, and exquisite natural ingredients. Every Tartex pâté is 100% free from meat, animal products, colourings, preservatives and additives. Nutritional yeast*, mushrooms* (24%), water, coconut oil*, sunflower oil*, potato starch*, sea salt, lemon juice*, yeast extract*. * = Ingredients from certified organic production. Once opened refigerate and use within 8 weeks. The Tartex Organic Mushroom Vegetarian Pate - 200g product ethics are indicated below. To learn more about these product ethics and to see related products, follow the links below. 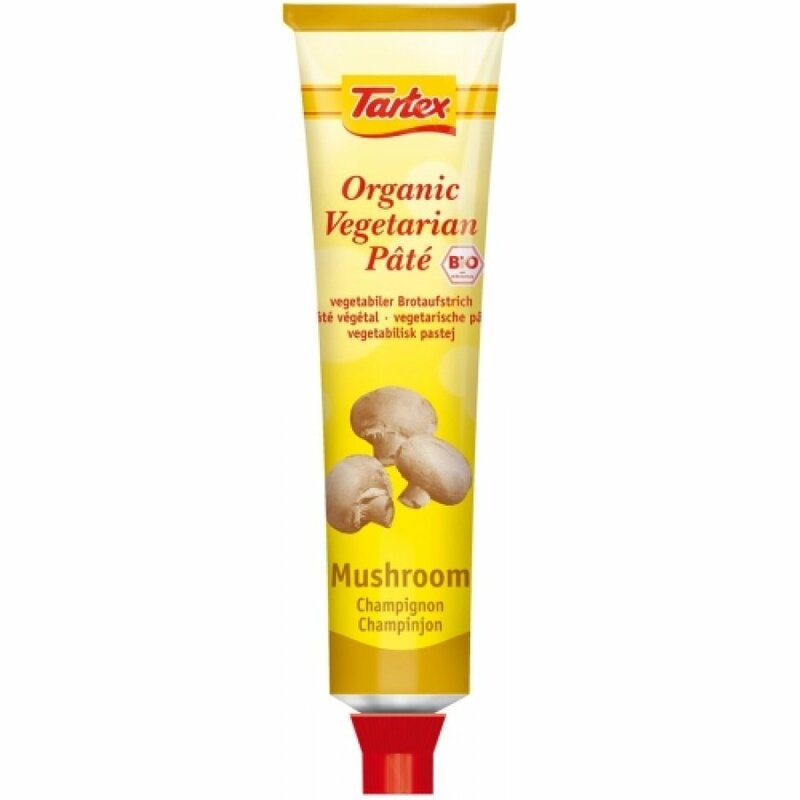 There are currently no questions to display about Tartex Organic Mushroom Vegetarian Pate - 200g.